Beautifully crafted of fine porcelain, Wedgwood Holiday Ornaments are inspired by traditional relief designs since the late 18th century. 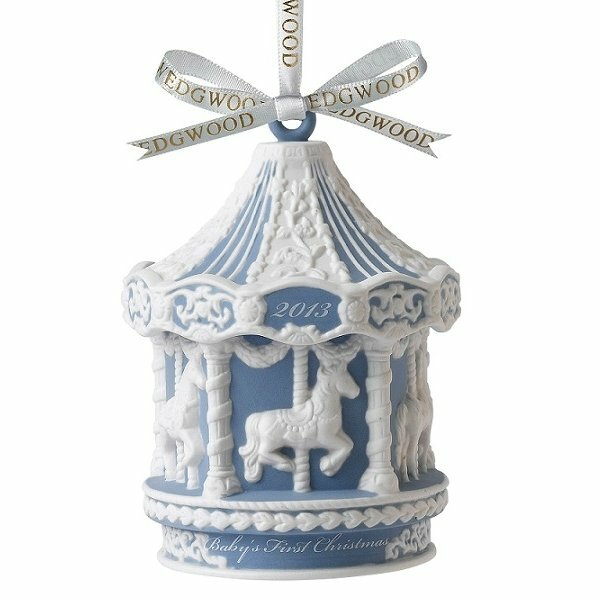 Holiday scenes and figures, along with favorite Wedgwood icons, decorate these collectible ornaments. Commermorate the year with one of the annual pieces and start a collection to celebrate for years to come. All ornaments are gift boxed. 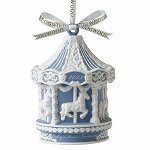 Welcome the new baby boy with her own dated 2013 Christmas Carousel in blue.